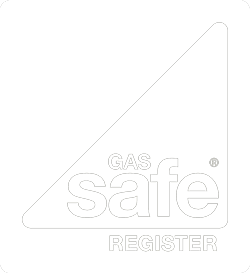 A landlord gas safety certificate from a trusted provider on the Gas Safe Register, providing an assurance you are acting responsibly with due care for your tenants. The Gas Safety (Installation and Use) Regulations of 1998 establish the rules for the safety of installations and appliances in the UK. They apply to both natural gas, and liquefied petroleum gas (LPG). The regulations apply to all installations. They require an annual gas safety certificate by a competent person and there are no exceptions made. A gas safety certificate confirms that the system, and any connected appliances are working at the right operating pressure, and the appliances are burning correctly because there is adequate air supply. With this in mind, a basic gas safe inspection does not include pipework and vents, although these should ideally be inspected at the same time. A gas safety certificate is an official government document that only a person listed on the Gas Safe Register may sign off. You may hear gas engineers referring to it as a ‘CP-12’. This name is just an echo from the past when CORGI was the controlling body for UK gas safety, and they used a form numbered 12 for the purpose. The Gas Safe Register enables a consumer to check whether their gas engineer is competent to sign a ‘CP-12’ under the law. The register enables consumers to search for service providers, and verify they and their engineers are compliant – which we are. Always ask to see a gas engineer’s gas register card before allowing then onto the premises. The photo side identifies them and confirms the start and expiry dates of their registration. The other side confirms the scope of work they are qualified to do, including the authority to issue a gas safety certificate. A landlord has a general duty to ensure the property they rent out is fit for purpose. This includes ensuring their property is gas safety checked annually. The law extends the definition of tenant to any person occupying a property under a contract. Hence it even applies to domestic staff with a right to sleep over. A landlord, and any other person has a common law duty to take reasonable care not to cause harm to another. Hence a rented property must be safe and in good working order. This principle kicks in whenever a person undertakes an activity which could reasonably harm someone else either physically, mentally, or economically. This burden of duty extends to taking reasonable steps to ensure a gas installation on a tenanted property is safe. The Gas Safety (Installation and Use) Regulations of 1998 prescribe a valid gas safety certificate as the bare minimum. Therefore not having this certificate when something goes wrong with the gas makes a compelling argument the landlord was negligent. UK law is very clear on what happens next. If the affected tenant can prove the landlord failed in their duty to care, or breached their obligations under the regulations then they could be fully entitled to sue for all their damages. Having a valid gas safety certificate may provide a sufficient defence all things being equal. The Gas Safety (Installation and Use) (Amendment) Regulations of 2018 came into force on 6 April and simplified the process slightly. It takes a more flexible line by allowing landlords to arrange their safety checks in the final two months of expiry of the current one. This eliminates the last-minute scramble that made the old regulation seem unnecessarily onerous. A landlord’s gas safety certificate is technically similar to a standard one because it also calls for flues and appliances to be inspected. However in this case tenants have a right to their own copies within 28 days of completion. Moreover, a landlord must provide copies to new tenants before taking occupation. Failing to have valid gas safety certificates, or failure to provide them are serious breaches of the letter and the spirit of the law. Especially since these certificates contain the results of all previous inspections too. In our experience responsible landlords welcome the peace of mind these documents provide. Completing the process should be simple after you find a registered gas engineer in your area of London. Our engineers are all in good standing on the Gas Safe Register. Moreover they are specialists because we do boilers and what’s connected to them, and nothing else. We choose our people carefully to make sure they understand the frustrations of not having decent hot water. You can rest assured our caring people leave nothing to chance, and take all waste material with them when they leave. Speak to us first if you have a troublesome boiler. Or just want to improve your life with more hot water. We don’t believe in cutting corners but we also believe in offering fair prices. Visit our fees and rates page and you’ll find everything set out clearly for you. We charge a fixed price of £85 + VAT for a gas safety certificate, and not a penny more for that basic service. If we find something in need of repair – and you want it done – then we’ll negotiate our best price as laid out in our schedule of rates and fees. Remember, we cover North London, East London, South East London, South West London, West London, North West London and Central London for boiler repairs, boiler installations, and gas safety certificates. Our free call-back service is just a mouse click away. You are also welcome to send us an email here. Why is My Radiator Not Working?